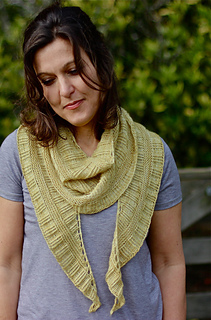 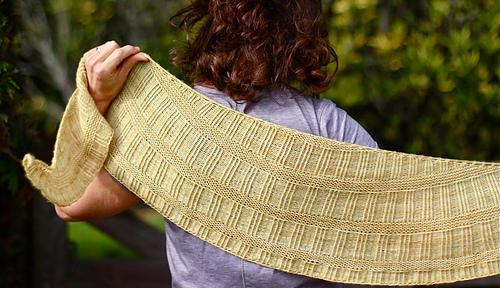 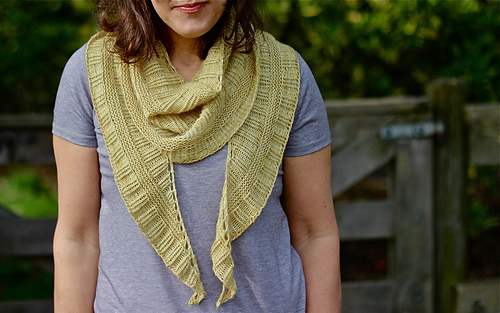 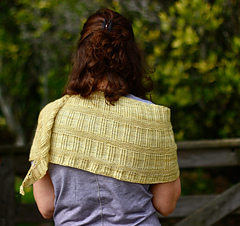 This stylish, airy shawl uses just one skein of beautiful yarn to create a very wearable accessory. 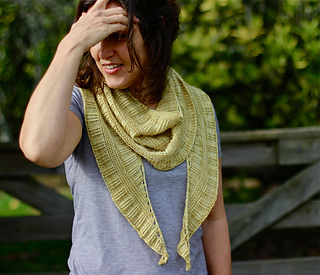 Snuggle it around your neck like a scarf or drape it over your shoulders for a more elegant look. 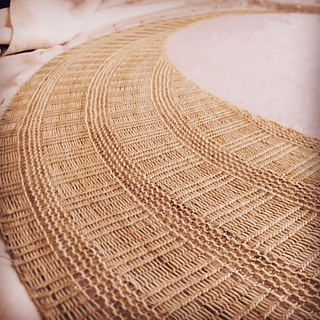 Rattan is long & slender and knitted from the top down. 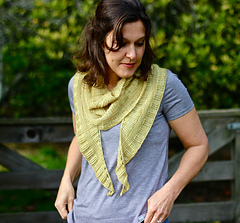 It uses simple, familiar stitches which makes it an entertaining knit and a great project for knitters of all levels. 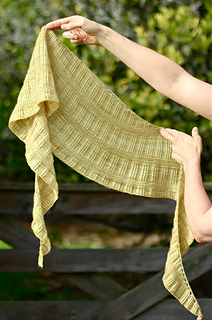 Includes written and charted instructions and directions on how to knit a larger Rattan Shawl.